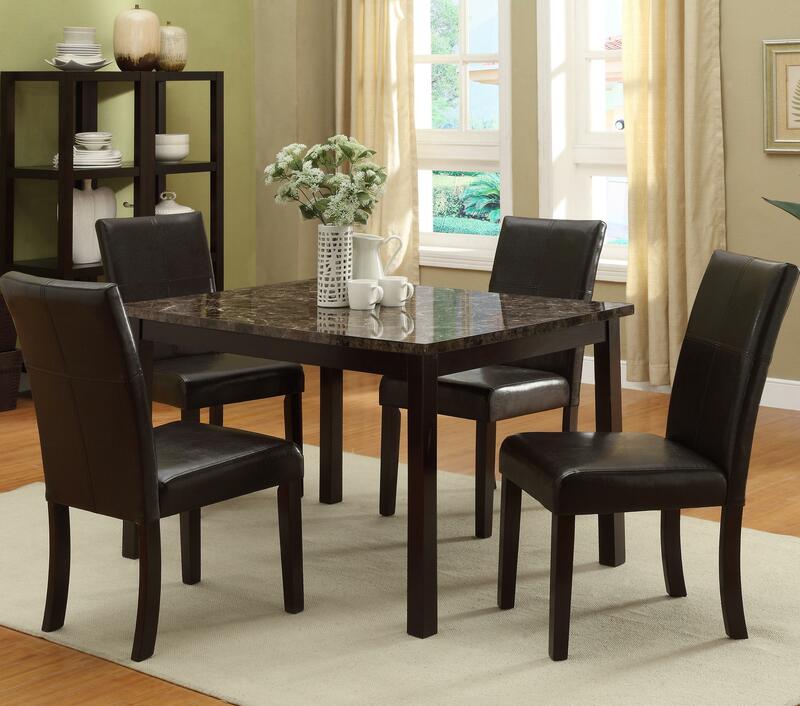 Bring a casually refined ambiance to your dining area with the Pompei Dining Set. Including a table and four chairs, it offers a cozy space for conversation, eating, and more. The table is lifted on straight block legs for structural support while a contrasting table top adds visual interest. Accompanied are four upholstered chairs. Both the seat and seat backs are upholstered in matching upholstery with a leather look and feel. Accent stitching adds additional detail to refine. Perfect for smaller spaces and casual settings, the Pompei Dining Set is fresh and stylish to outfit your home. The Pompei 5 Piece Table & Chair Set by CM at Michael's Furniture Warehouse in the San Fernando & Los Angeles area. Product availability may vary. Contact us for the most current availability on this product. Discover the Pompei Dining Collection for a casual yet classy set to outfit your home. Perfect for smaller spaces, it includes one table and four chairs. 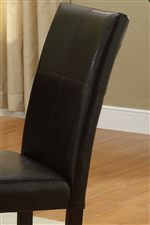 It's available in standard dining height or as a counter height pub table. Choose from two wood colors — casual grey or warm and welcoming brown. See store for availability. The Pompei collection is a great option if you are looking for Casual furniture in the San Fernando & Los Angeles area.